Metal Slug Anthology (Wii) "pre owned" disc only. Metal Slug Anthology can be yours if you post enough! 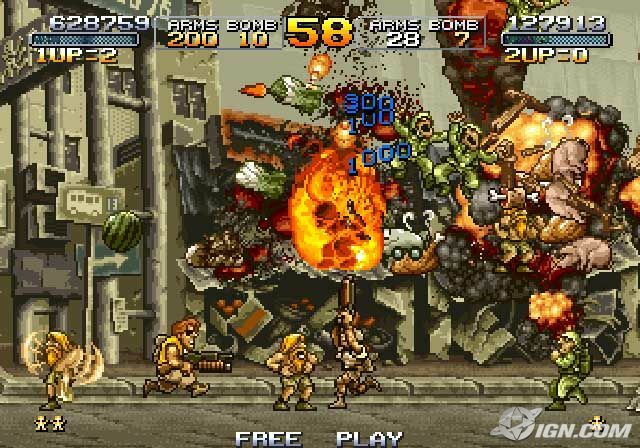 Description: A compilation of Metal Slug 1-6 + Metal Slug X for the Wii console! Available only in the Lower 48 U.S. States. Re: Metal Slug Anthology (Wii) "pre owned" disc only. It's hard to offer shop prizes as rewards since our forum essentially makes no money, and shipping costs aren't cheap, which is why the items that aren't digital are for the lower 48 U.S. States only, and why the amount of coins may seem rather steep.